The SERVIR Eastern and Southern Africa team is attending the annually held SERVIR Annual Global Exchange (SAGE) in Bilbao, Spain and it will run from 9-Oct-2017 to 13-Oct-2017. The theme of this year’s SAGE is Achieving Lasting Impact. The SERVIR project is a joint initiative of the National Aeronautics and Space Administration (NASA) and the United States Agency for International Development (USAID), works in partnership with leading regional organizations worldwide to help developing countries use information provided by Earth observing satellites and geospatial technologies for managing climate risks and land use. The SERVIR network of regional hubs currently covers the Eastern and Southern Africa regions, the Hindu-Kush Himalaya region, the Mekong region and the West Africa region. SERVIR-Eastern and Southern Africa (SERVIR-ESA) is implemented by the Regional Center for Mapping of Resources for Development (RCMRD). The overarching goal of the SERVIR project is to improve environmental management and resilience to climate change. 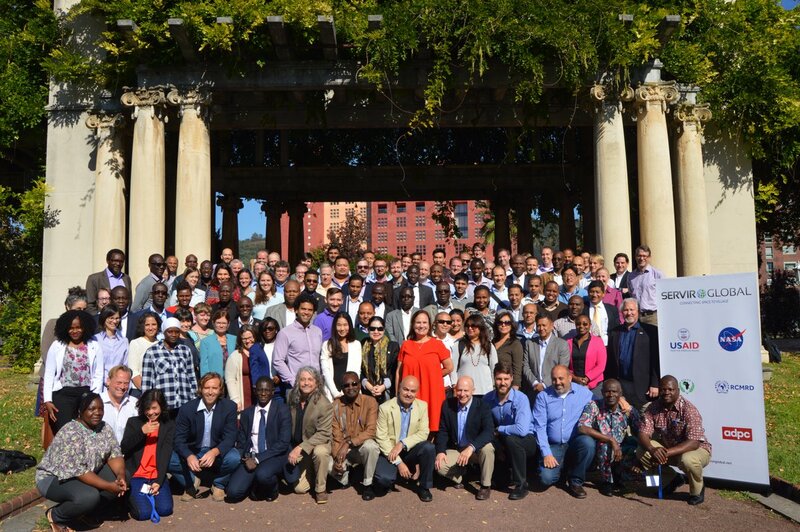 With an eye toward this goal, the SERVIR project works to build the capacity of SERVIR regional hub institutions, governments and other key stakeholders to integrate earth observation information and geospatial technologies into environmental decision-making. The RCMRD International Conference 2017 kicked off today at RCMRD premises. The theme of this three day conference is Space Science Touches Lives. Some of the dignitaries who attended the occasion were ESRI East Africa Managing Director, National Aeronautics and Space Administration (NASA- USA) - Dan Irwin via video link, USAID Kenya - Brad Arsenault, Director General RCMRD - Dr Emmanuel Nkurunziza, Rwanda & Malawi High Commissioners, Government of Kenya - (Chief Guest ) Ambassador Julius Kandie representing CS Prof. Jacob Kaimenyi. Prof. Shuian Lwasa, from Makerere University, delivered the key note address on "Science Policy Exchange"
The new website of RCMRD was officially launched in pomp and colour during this momentous occasion for RCMRD. The Regional Centre for Mapping of Resources for Development (RCMRD) is pleased to announce the commencement its first RCMRD International Conference. The conference will be held from 27th to 29th September 2017, in Nairobi, Kenya. The goal of the conference is to create a platform for exchanging ideas on the application of earth observation information and geo-spatial technologies for societal benefit. The three-day conference is open to persons from all over the world, companies, industries, research institutions, individuals, government representatives, students, policy makers, developers, opinion leaders and academicians. The conference will consist of sessions for plenary talks from distinguished scholars and professionals in applications of earth observation information for societal benefit, oral and poster presentations in a number of thematic areas, and exhibitions, all aimed at sharing information and building networks on the uptake and use of geo-information in development decision making. 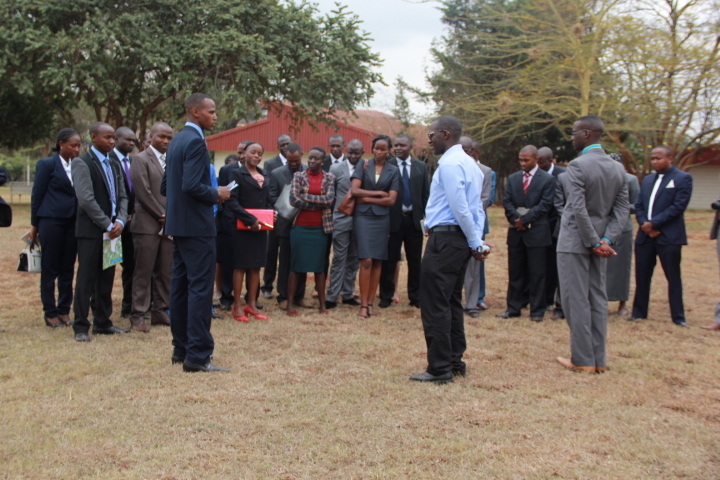 A one-week The African Geodetic Reference Frame (AFREF) and Global Navigation Satellite Systems (GNSS) data processing training workshop was concluded at the RCMRD. 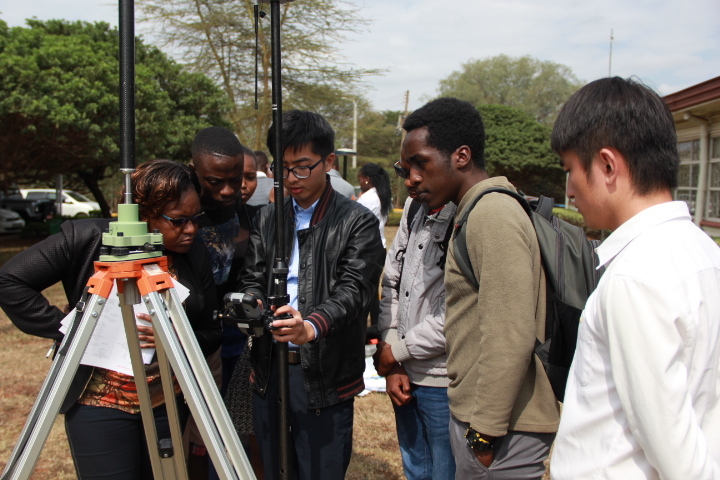 The course was conducted by RCMRD and supported by KQ GEO Technologies, ComNav Technology, Trimble, Leica and Pentax. The purpose of the course was to provide technical skills in the establishment of AFREF and National Real Time GNSS Networks, installation of CORS, handling, dissemination and processing of GNSS data. The trainees were Land surveyors, Geodesist, Engineers, Researchers and Cartographers from African countries with some experience in Global Navigation satellite System (GNSS) technologies. The course covered: AFREF Concepts and progress; Global Navigation Satellite System (GNSS) Technologies; Establishment of Continuously Operating GNSS Reference Systems (CORS), and National Real Time GNSS Networks (NRTN); GNSS Augmentation Systems and Availability in Africa; Reference systems, AFREF, datum and Coordinate systems & transformations; Practical field work on Static GNSS surveys, RTK surveys using Base/Rover, and RTK surveys using CORS as well as Practical GNSS data post processing and reporting using open source software. When fully implemented, AFREF will consist of a network of CORS such that a user anywhere in Africa would have free access to the generated data. The African Geodetic Reference Frame (AFREF) was conceived as a unified geodetic reference frame for Africa to be the fundamental basis for the national and regional three-dimensional reference networks fully consistent and homogeneous with the International Terrestrial Reference Frame (ITRF). The Regional Centre for Mapping of Resources for Development (RCMRD) recently hosted students from the Kenya school of Military Intelligence (SOMI). The students were oriented on the importance and application of Geographic Information Systems (GIS) and how it plays a pivotal role in military operations. The visit familiarized the more than 15 students with the work that RCMRD undertakes in fulfilling our mission through Geographic Information System (GIS), Satellite Remote Sensing, Global Positioning System (GPS) and Information Technology (IT). The Centre is also vigorously involved in the promotion of the development of National Spatial Data Infrastructure (SDI) in its member States and in Africa. They toured various sections and projects at RCMRD and heard about the use of GIS applications including by military forces where GIS is used in a variety of applications including cartography, terrain analysis, remote sensing, military installation management, intelligence, battle field management and monitoring of possible terrorist activities. They also discussed instruments used for data collection and the emerging GIS threats in Kenya and globally.